To help create a home for creatives under one roof, a group of local entrepreneurs have joined hands to create a collective they are calling It’s the Bronx. The man behind the idea, Marco Shalma, is no stranger to entrepreneurship. Shalma is the founder of the creative agency, Round Seven and co-founder of Bronx Night Market. After attending SXSW, a notable music festival in Texas, Shalma found himself asking why the Bronx didn’t have something like it. 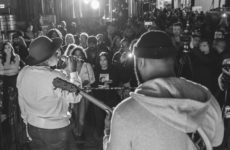 When Shalma cast his eye on the Union Crossing building, he decided it would be a perfect place to host an annual festival for the creative forces taking the Bronx by storm. “We’re trying to create a dynamic and interactive experience. We want to create an ambience and environment that compliments the community,” said Shalma. To local residents, what was once an empty warehouse will be an eight-story, loft-like home for a number of retail business and entrepreneurs. Shalma said a working partnership with The Bronx Brewery as well as other businesses is to be expected. The building will create a community that is founded on tech, art, and commerce. The freight elevator tagged in street art and a skyline view from the rooftop are meant to reflect the history and future of the Bronx. 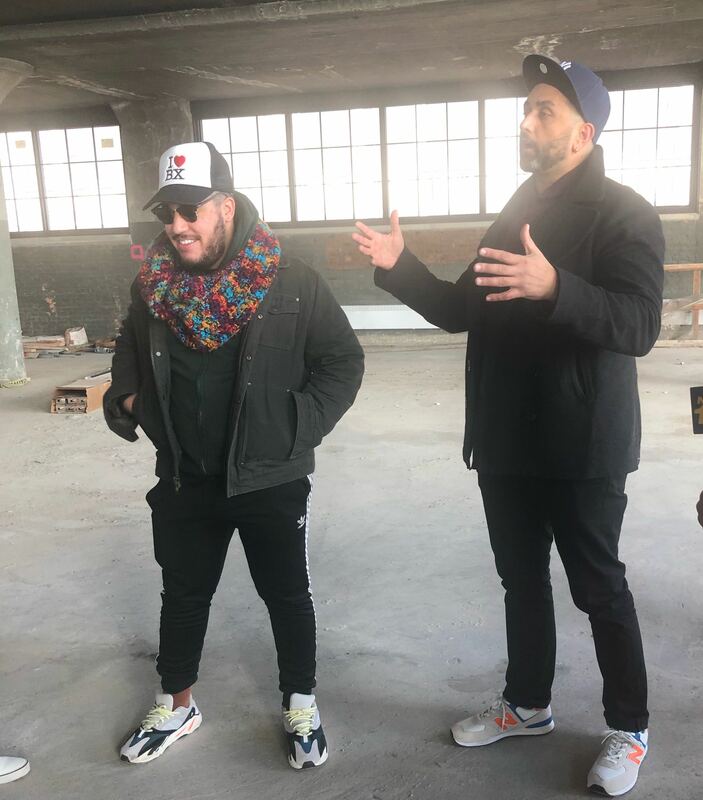 Shalma tapped the owner of the Bronx Native clothing shop around the corner, Amaurys Grullon to partner in creating opportunities and events around the idea. Bronx Native holds regular open mics and events taking place at its store, and Grullon has been a regular presence there. As a result, the pair has teamed up to celebrate Bronx entrepreneurship and spread the platform. “Any cool things for the Bronx that we don’t have yet, we’re willing to bring here,” said Grullon. Madison Realty Capital, The Altmark Group, The Bluestone Group, and Galil Management acquired the 44 million-dollar development of the building in 2016. The seventh floor is where It’s the Bronx will be located. Shalma and Grullon invited a group of musicians, podcasters and fashion designers to witness the transition stages of the developing office hub. Co-host of the New York Dose podcast Derick Sherrier said the space will allow him to bring his Brooklyn-based podcast to Bronx natives. “Our podcast is portable. 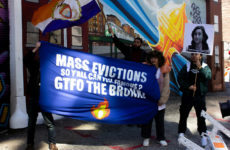 I can see this space allowing us to come to our Bronx guest when we want to connect with them instead of them coming to us. 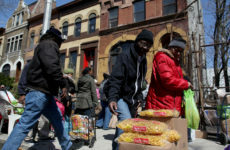 I just want to connect with the community because we’re a bunch of artists and entrepreneurs ourselves,” said Sherrier. Shalma and Grullon say their goal is to create a space for people to present themselves and engage with the community. The community will get its first look at It’s the Bronx this month. So far there have been hundreds of submissions from creatives wanting to showcase their talents.